James George Janos, born July 15, 1951, best known as Jesse "The Body" Ventura, is an American politician, former governor of Minnesota, retired professional wrestler and color commentator, Navy UDT veteran, actor, and former radio and television talk show host. As a professional wrestler, he is best known for his tenure in the World Wrestling Federation as a wrestler and color commentator. In 2004, he was inducted into the company's Hall of Fame. Ventura made his feature film debut in the 1987 action movie Predator, which starred Arnold Schwarzenegger... The Reform Party was founded in 1992 by another political outsider, Ross Perot; in 2000, while governor, Ventura left the Reform Party and joined the Independence Party of Minnesota... Ventura made waves in 2001 when he agreed to be a TV commentator for the XFL football league while still serving as governor. 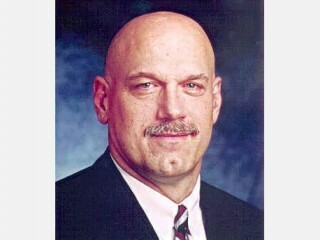 View the full website biography of Jesse Ventura.